Dr. Abed Al Razzaq Arabiyat, Managing Director of the Jordan Tourism Board, elaborated: “The Jordanian-Indian relationship has witnessed a tremendous positive shift throughout 2018. His Majesty King Abdullah II Ibn Al-Hussein’s visit to India in February 2018 has had a cascading effect on the whole dynamics that connect both countries." Granting Indian visitors an upon-arrival visa was one of these changes that helped increase the number of Indian tourists visiting Jordan for its remarkable religious and historic sites, such as the Baptism Site and Petra, one of the New Seven Wonders of the World and a UNESCO World Heritage Site. Moreover, close to Petra, one can witness a Mars-like nature-crafted setup called Wadi Rum, which, just like Petra, has been incredibly used by big Hollywood studios to shoot some of its most iconic feature films, from Indiana Jones and the Last Crusade and The Martian to the upcoming hits Aladdin and Star Wars: Episode IX. 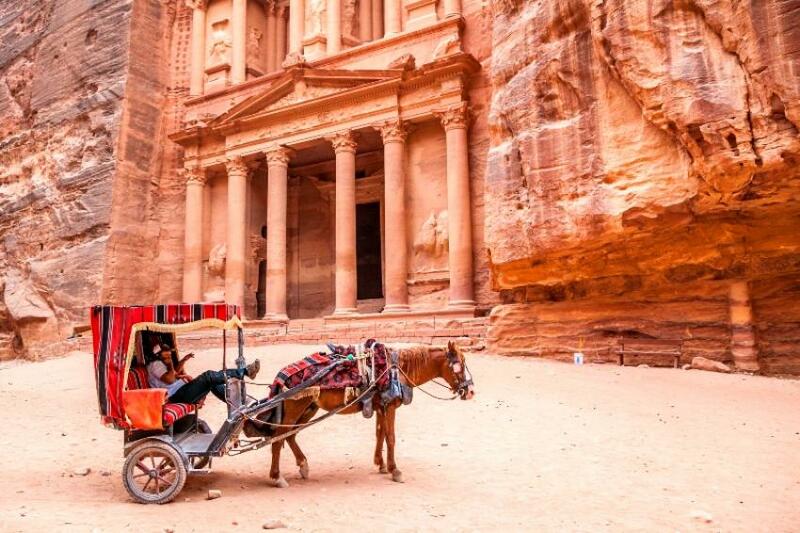 Bollywood has recently discovered the magnificence of Jordan as a filming location to shoot some of its feature films, including Krrish 3, and with the recently facilitated upon-arrival visas, Bollywood’s presence in Jordan is promising to be even more fruitful! The Hashemite Kingdom of Jordan, which once captivated ancient travellers, continues to enthral a whole new generation as a modern, vibrant nation. From the haunting, primeval starkness of Wadi Rum, the teeming centre of urban Amman, from the majestic ruins of bygone civilizations to the timeless splendour of the Dead Sea, Jordan is unveiled as a unique destination offering breathtaking and mysterious sights, high standard accommodations, exquisite cuisine and countless activities that can provide visitors with inspiration, motivation, and rejuvenation. Whether it is a conference for 5000 people, a lavish dinner in the peerless desert of Wadi Rum, a barbecue at the shores of the Dead Sea, or a reception atop a medieval castle overlooking the JordanValley, the amicable and competent people of Jordan will ensure a memorable, once in a lifetime experience.